ETUDE HOUSE - Code B Nail Art Pen #4 Black | Memorable Days : Beauty Blog - Korean Beauty, European, American Product Reviews. Nail art lovers might heard of this pen. 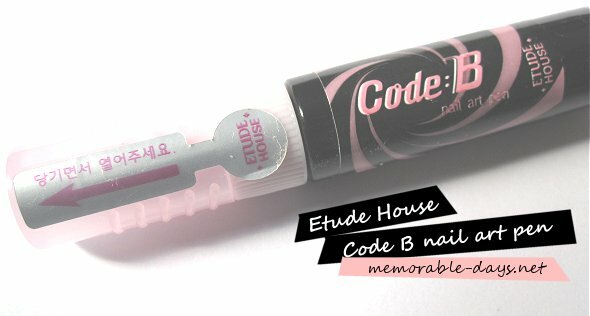 It's the Code B nail art pen of the brand Etude House. Don't ask me why it's called Code B cause I don't know the answer either. I've always wanted to have a nail art pen because it would be great for designs. I bought it for $1.85 on Ebay at RubyRubyShop. It's a great deal since it normally cost $4. There are 4 colors: #1 white, #2 pink, #3 red and #4 black. I bought #4 black and it's medium thick but does dry pretty quickly. If you squeeze too hard, it will look like that (see picture below). Therefore you really need to practice! 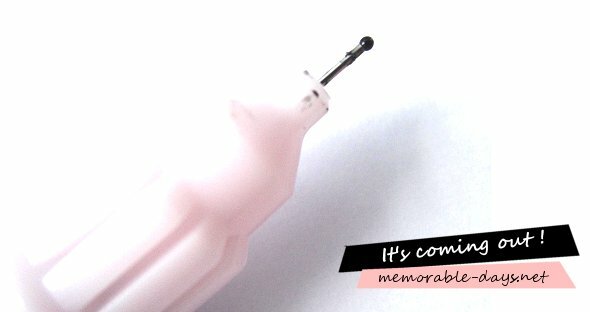 It's quite hard to control this pen at the beginning, since the nail polish will come out itself. This means that you need to be quick and have a certain amount of control. 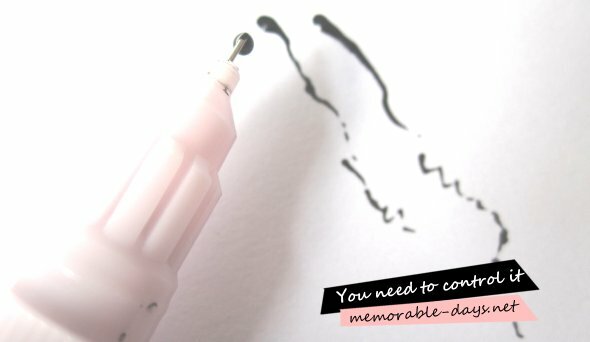 You will notice that you can squeeze the pen (at the black area) to get more nail polish out. Lol, the first time I used this, I was like OMG OMG the nail polish is coming out itself, I can't control it !! ARGHHH! So yeah... it's quite hard at the beginning, but you just need to practice ;). I always have a piece of paper next to me to wipe the excess. If you're not using the pen you really need to put the cap back on! 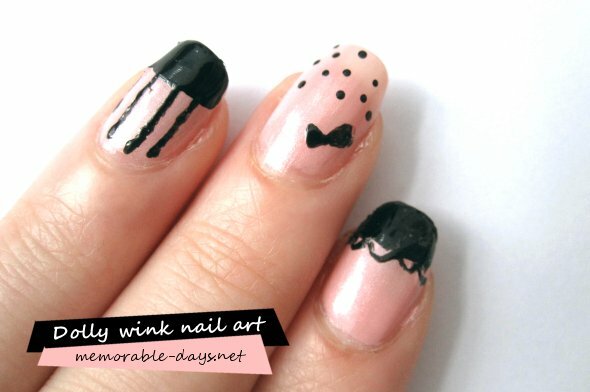 Lol, remember my old Dolly wink inspired nail art that I did a while ago? I did another one today and I did this within 10 minutes, so its not that pretty. I just wanted to try this pen out xD, so don't post any hate comments cause I know that it's not pretty hahaha. It's very easy to draw things with this pen, especially dots. I did have some problems with drawing straight lines (as you can see, it's not that straight haha) ^^! The nail art on my middle finger is ok I think :). I sure will do another dolly wink inspired nail art tutorial with this pen ^___^. Overall, this nail art tool is ok, you just need to practice with it. The negative thing about this pen is that the nail polish will come out itself =/ which makes it hard to control it. However, I wouldn't buy this for $4 haha, $1.85 is a great price :P.